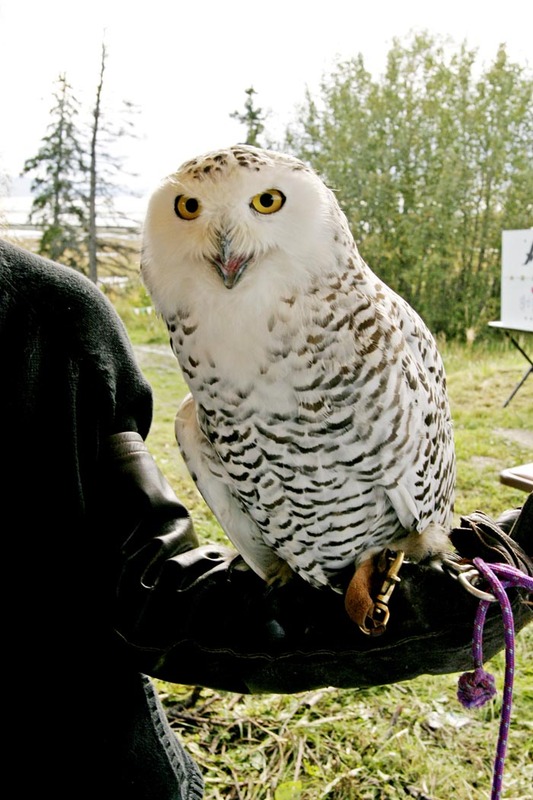 Maybe you’ve seen some headlines or blog titles this winter: Snowy owls invading the US or Scientists bewildered by mass migration of snowy owls from the Arctic. What’s going on? The thought of bewildered scientists makes me uneasy. Should we be concerned or should we be delighted at the prospect of maybe seeing one of these ethereal birds? 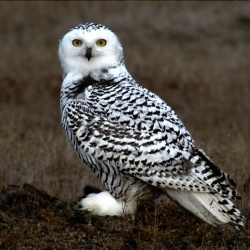 A dramatic increase of a single species outside its usual habitat is called an irruption—that’s irruption with an “i” not an “e.” Snowy owl irruptions are usually attributed to periodic spikes in the population of their favorite snack—the lemming. 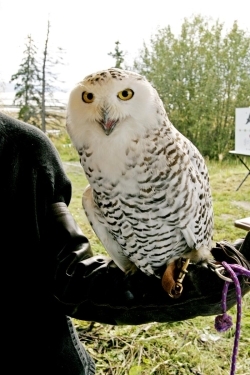 In an a year with plentiful food resources, an owl can lay up to 10 or 11 eggs! 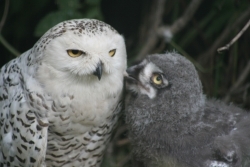 Having lots of baby snowy owls in the nest forces the parents to hunt more. Eventually, the lemming supply crashes and by winter you have a large, hungry population of owls, some of which must disperse far and wide to search for food. 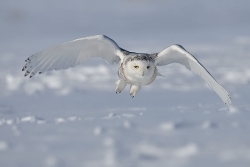 A rise and fall of lemming numbers likely did occur in 2011, causing a lot more snowy owls to move south. But is this year really as amazing as it seems? Consider: The number of people birding in 2001 grew 232 percent above the number involved in birding in 1983. And the total has grown still more over the last decade. More bird counters = more sightings. In fact, a single bird might be sighted and counted many times by these rapidly multiplying bird counters. Furthermore, the counters–and even people who don’t count—are recording and storing all their personal bird sightings online. The most popular storage tank is a checklist program called eBird. Personal and group records in eBird are amassed together into a giant global database. Ebird uses this database to create figures, summaries and maps which are available to anyone. 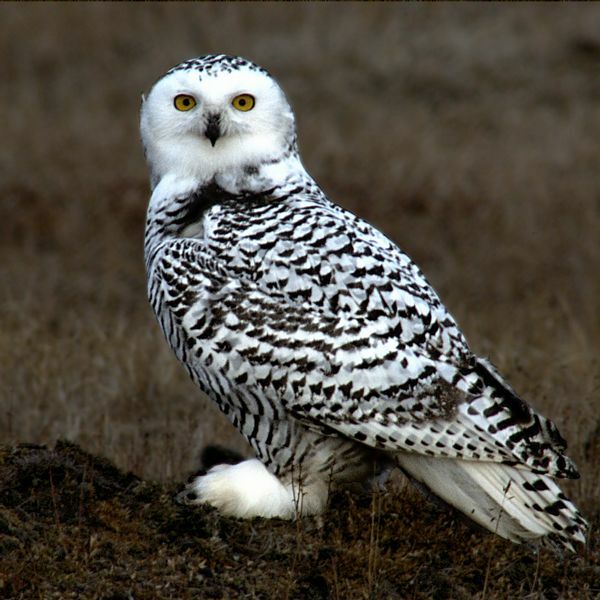 It’s eBird’s map of snowy owls that is being cited in blogs and newspaper articles. The map clearly shows a remarkable number of snowies decending upon the lower 48 especially in the Great Plains region. Everyone can agree that it’s a great year but still, you can’t help but question if the much higher counts are partly due to the spiraling rates of human counting and reporting. Here in Utah there have been two recorded sightings this winter—one in the Bear Lake Valley and one on the causeway to Antelope Island. Not what I’d call an invasion, but these two sightings do represent the first ever records of snowy owls on Ebird. However, if you snoop around enough you’ll find there have been sporadic sightings in Utah dating back to 1908. Floyd Davidson, Tony Hisgett, Bert de Tilly.